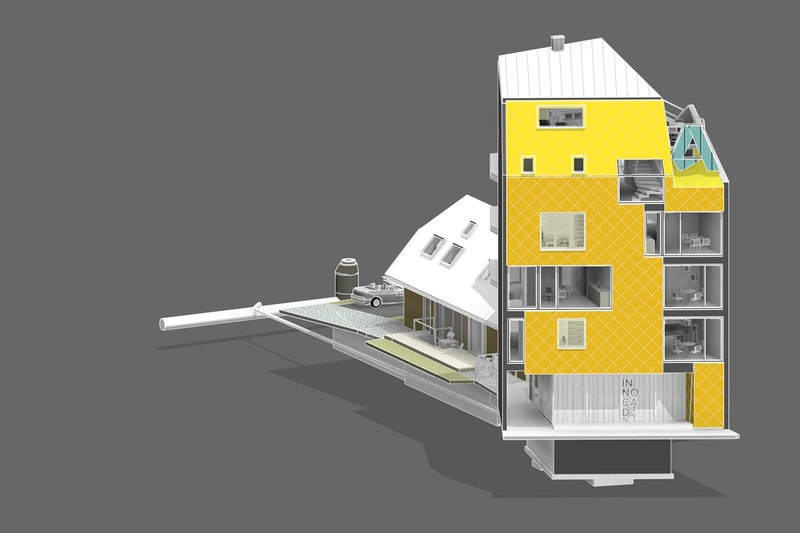 Point clouds are often limited to professionals working with floorplans and BIM models. 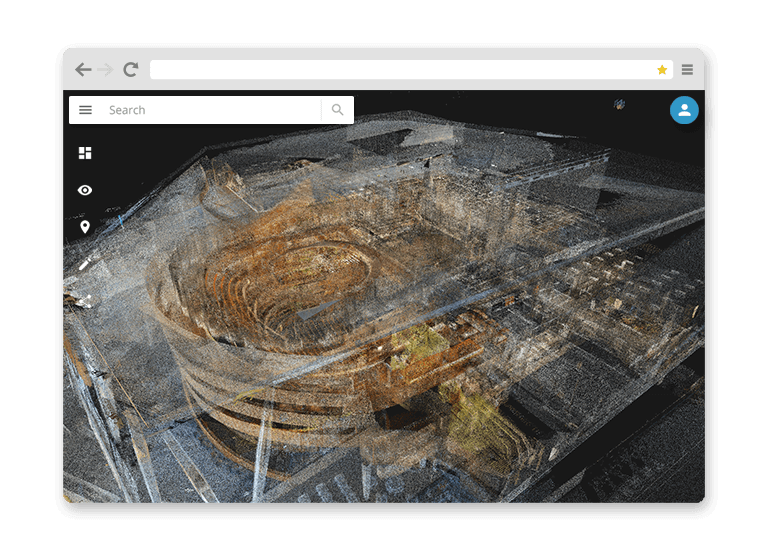 With NavVis IndoorViewer, point clouds are transformed into web-based, fully immersive 3D buildings that let every stakeholder explore and interact with scanned spaces as if they are on site. 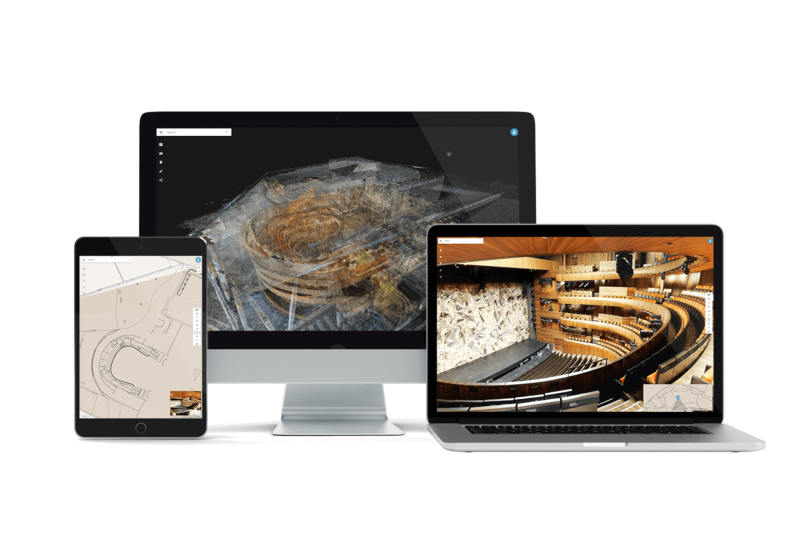 NavVis IndoorViewer brings a new dimension of spatial understanding to every building scan project with web-based access to fully immersive 3D buildings. 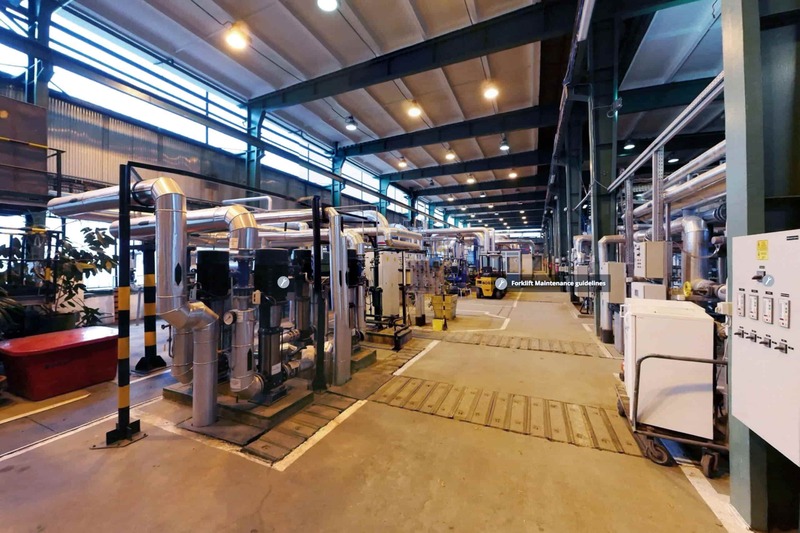 The realistic, interactive digital buildings open up new use cases for 3D scanning and improve existing ones across industries, including manufacturing, construction, surveying, facility management and BIM modeling. The web-based NavVis IndoorViewer simplifies publishing and sharing scan data. 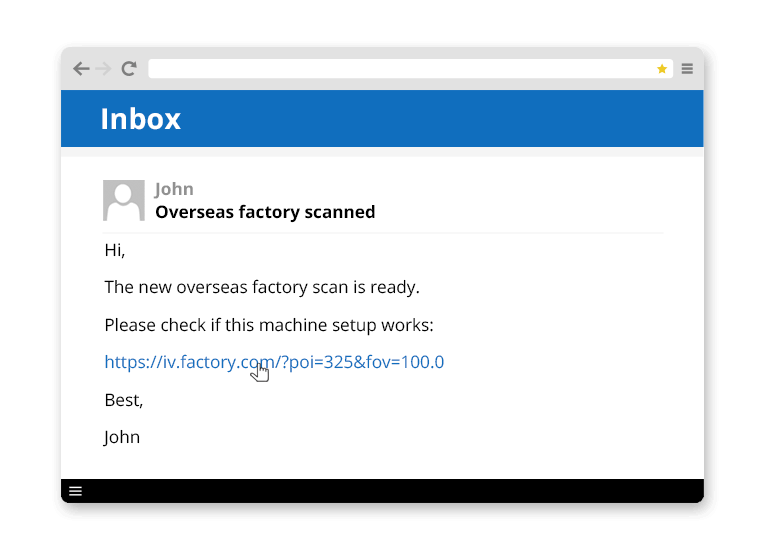 Just send a link to publish and share scans or send a deep link to specific content or a location within the scan. No downloads, plug-ins or desktop software required. NavVis IndoorViewer features an easy to use, scalable content management system for adding geo-tagged information and media to 3D scans. Users can right-click anywhere on the screen to add and view this information as points of interest. The powerful search function makes it easy for users to find the information they need. 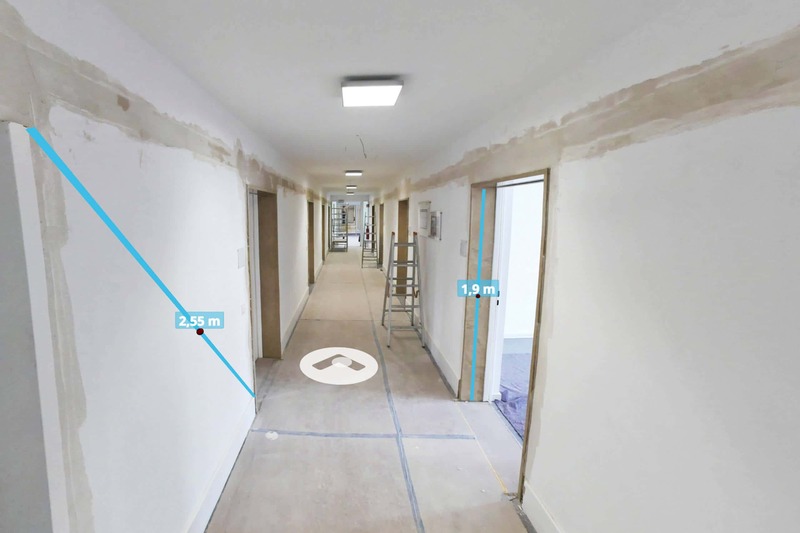 Make scans intelligent with the NavVis IndoorViewer virtual routing tool. Indoor Viewer uses artificial intelligence to extract routing information from scan data that is used to create a navigation graph. 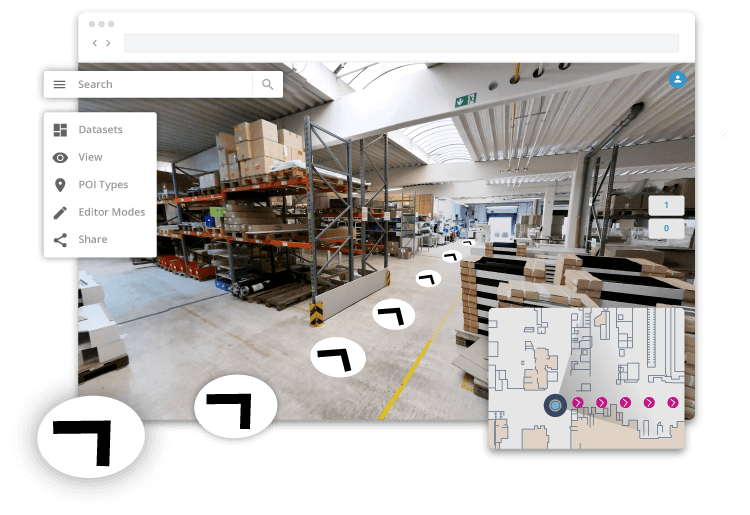 With this function, users can view and search for routing information to and from objects and locations. 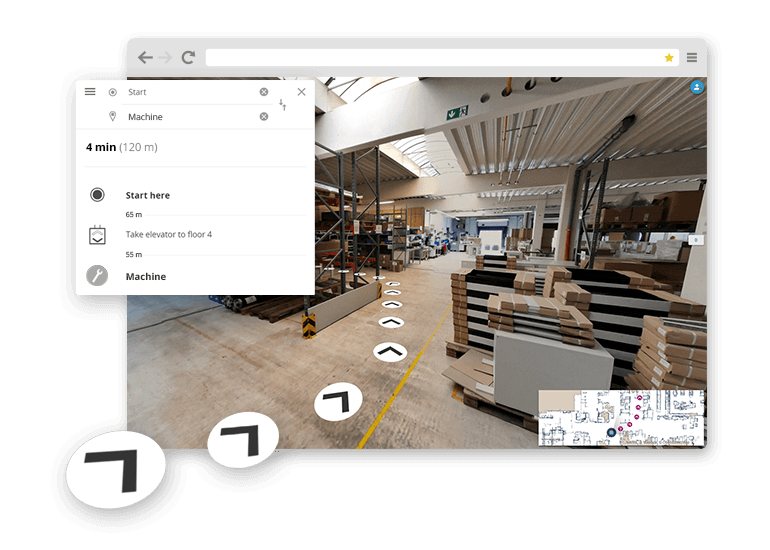 The detailed information is shown both in immersive 3D and on the map. 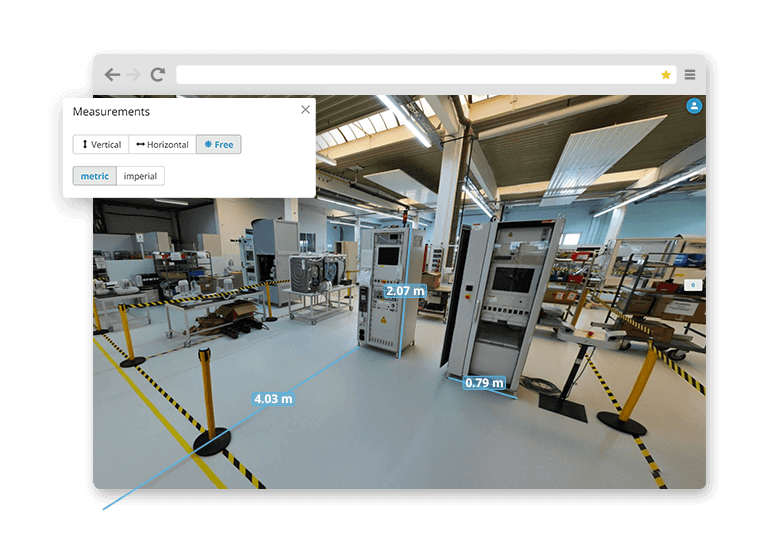 360° immersive images are not just digital images. 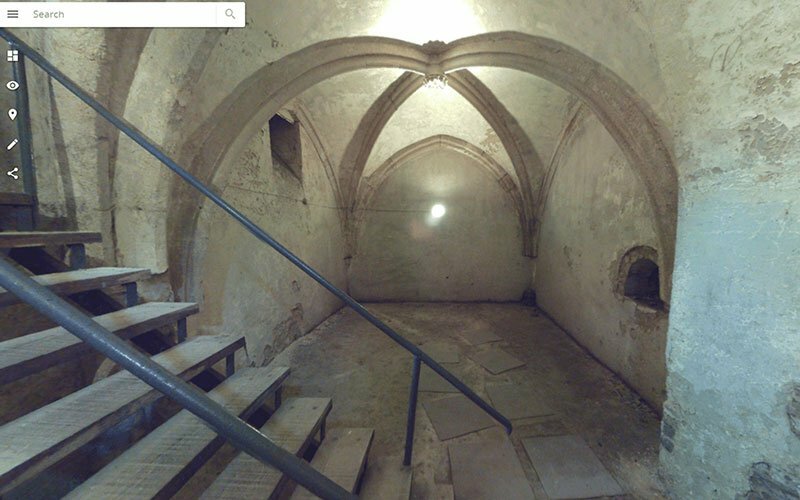 The pixels in these images are enriched by laser scans, which makes it possible to interact with scanned spaces as if you are on site, including taking accurate point to point measurements. 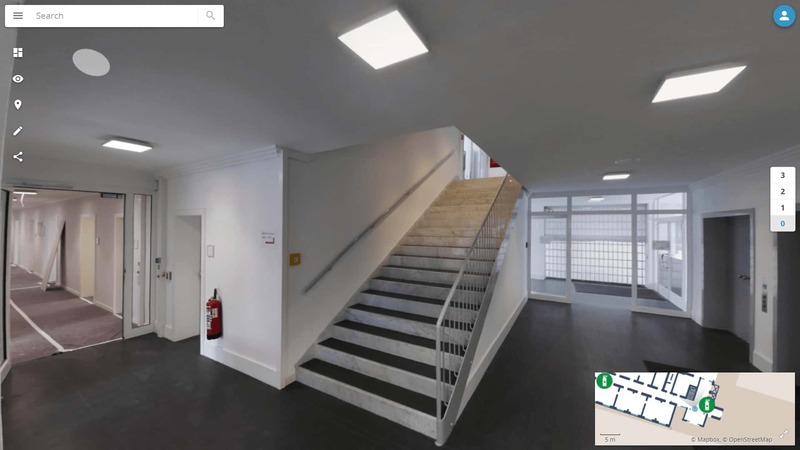 Give your customers an entirely new way to use and interact with floorplans. 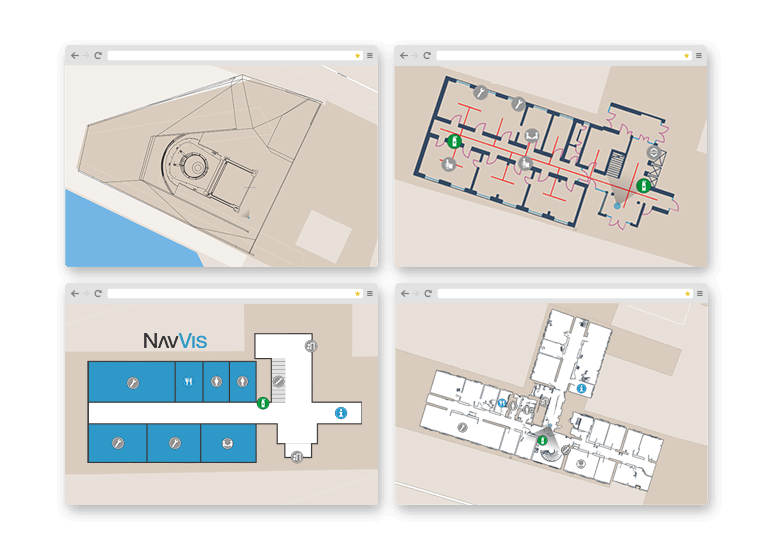 NavVis IndoorViewer automatically generates an AI-based map to give an overview of the entire site. Upload custom maps that have been designed in photo editing software or upload point clouds that have been created using CAD software. 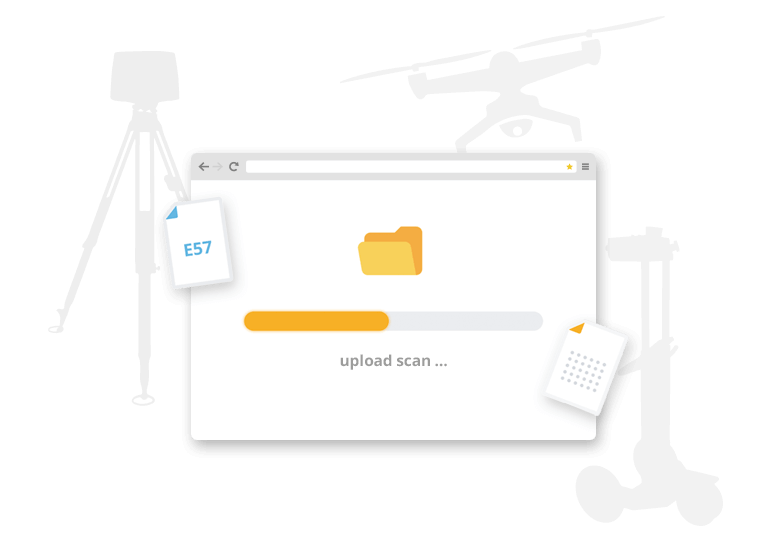 Whether you are using static laser scanners, drones or the NavVis M6, you can upload and combine datasets in NavVis IndoorViewer and publish the scans as a link. 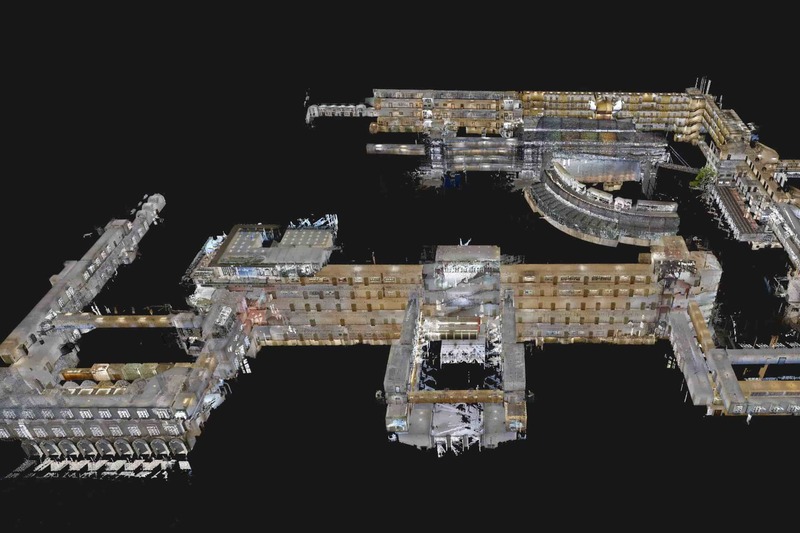 For structured E57 files, NavVis IndoorViewer automatically converts point clouds into immersive 360° images with full IndoorViewer functionality. 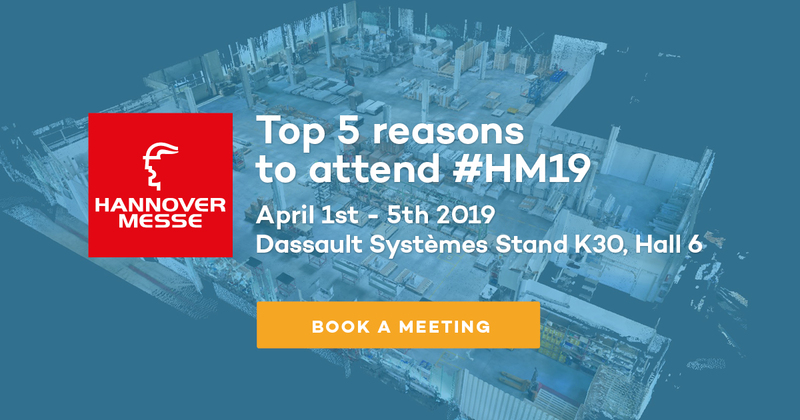 With NavVis IndoorViewer, you can choose how you want to experience 3D scans by easily switching between the 360° immersive image and point cloud views. 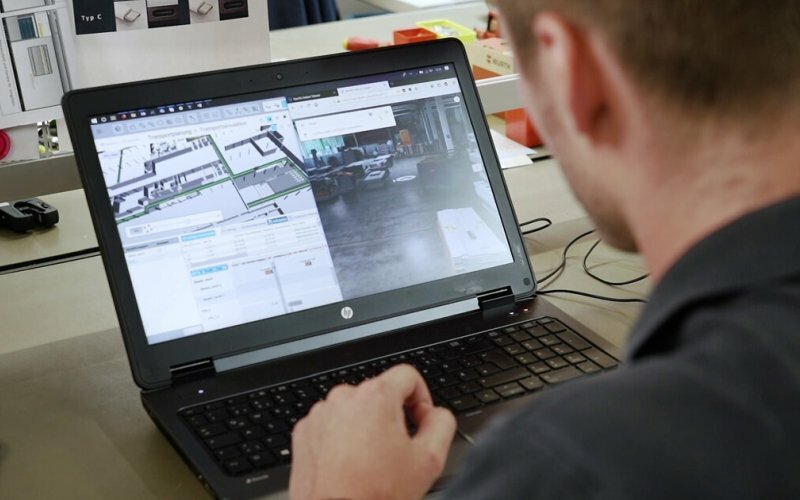 Streaming point clouds on any device means you can view and share point cloud data without the need for downloads, plug-ins or software installations. Bring a new dimension of spatial understanding to existing software by integrating NavVis IndoorViewer. 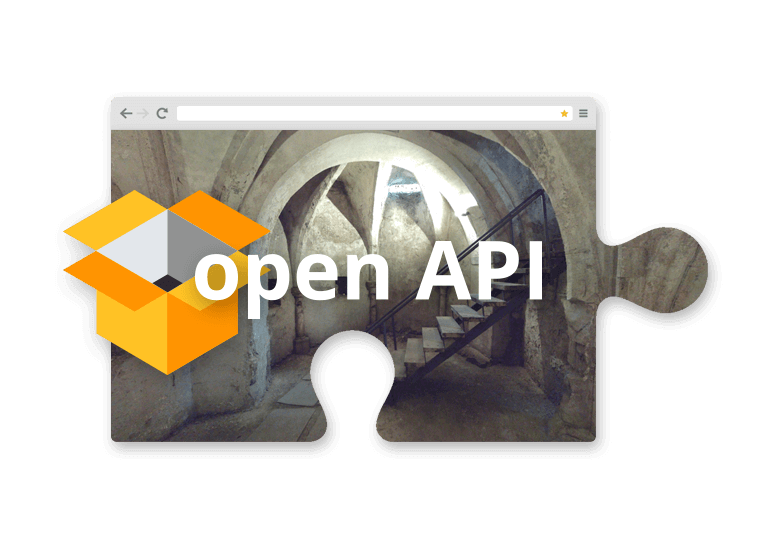 The open API also makes it possible to develop custom NavVis IndoorViewer solutions for a range of applications such as augmented and virtual reality or IoT sensors. Are you ready to try NavVis IndoorViewer? 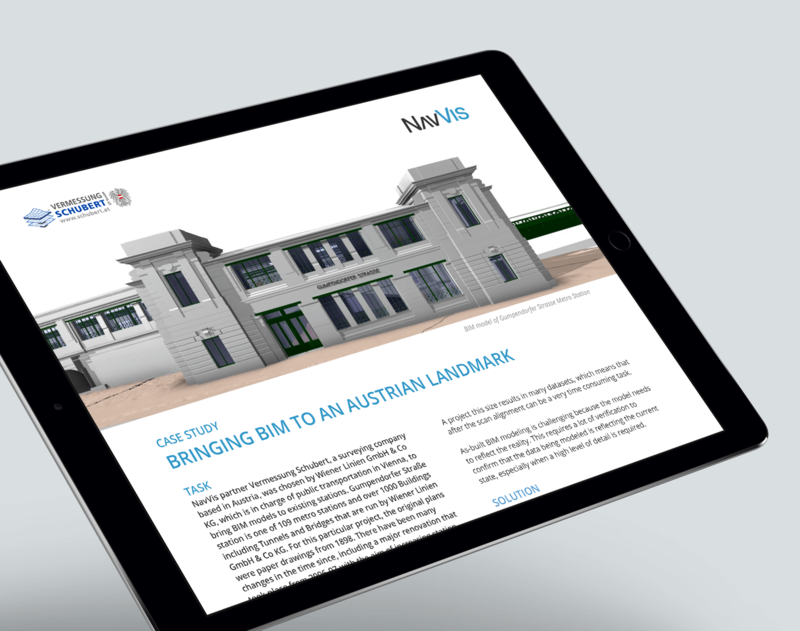 Create your own 3D building by setting up a NavVis IndoorViewer instance with a 30-day free trial NavVis Cloud account. 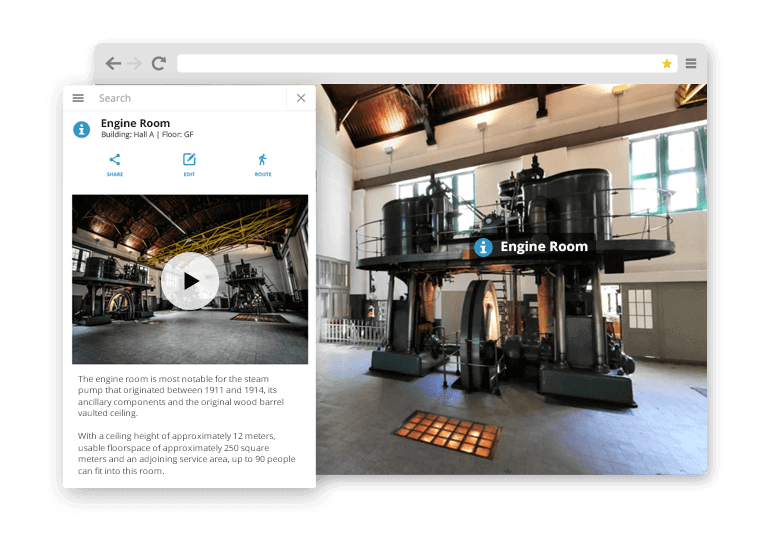 Experience our web-based, fully immersive 3D building software right in your browser by exploring our demo instance.